The SC adapters featured here are brass. 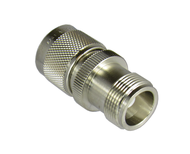 The SC to 7/16 adapters can handle the high power associated with both the 7/16 & SC. 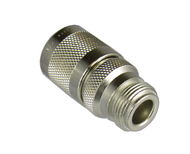 SC to N Adapters are often commonly used. Please click on a category from the drop down menu above to find the exact SC adapter you need.